Mono 8bit sampler which can sample at up to 27Khz. 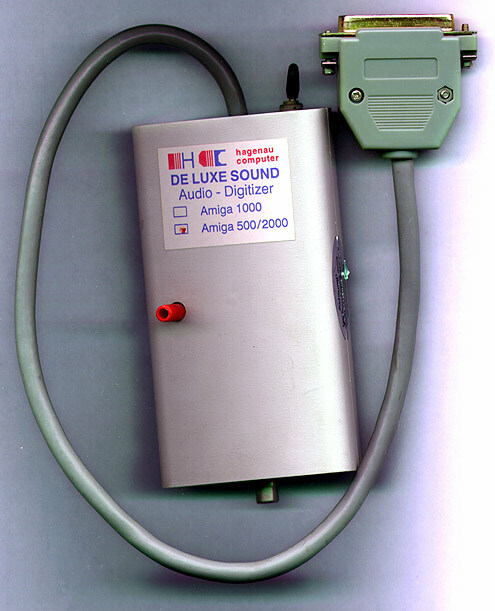 This sampler works with most software, however it also came with a powerful program called Deluxe Sound. Although the unit itself says A500/A2000 it probably works in any Amiga, however there seems to be an A1000 version which is probably exactly the same, only the connector is a different gender. The red knob on the front is for amplication and it connects to your sound source via a cinch connector. There is also a flick switch on the unit, however it's purpose is currently unknown.